Earlier today, MailGuard stopped a new criminal-intent email from arriving in its customers inboxes. 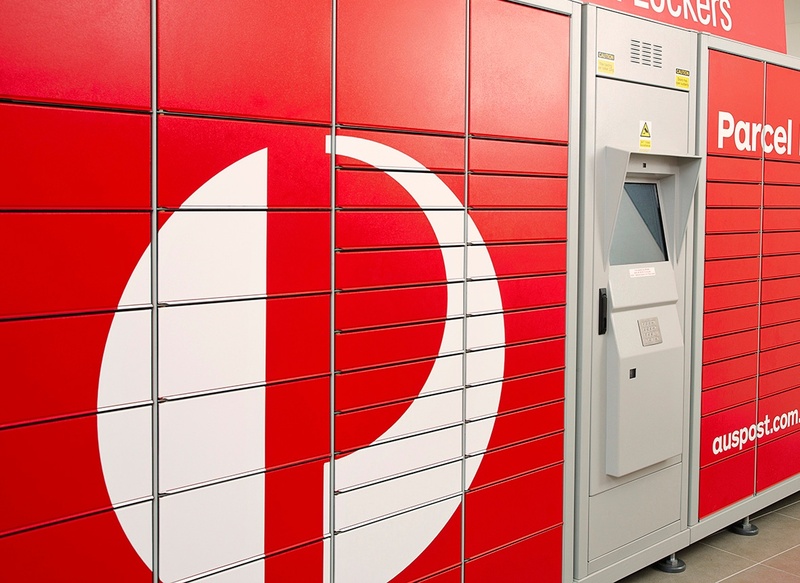 This scam exploits Australia Post's name to gain trust. 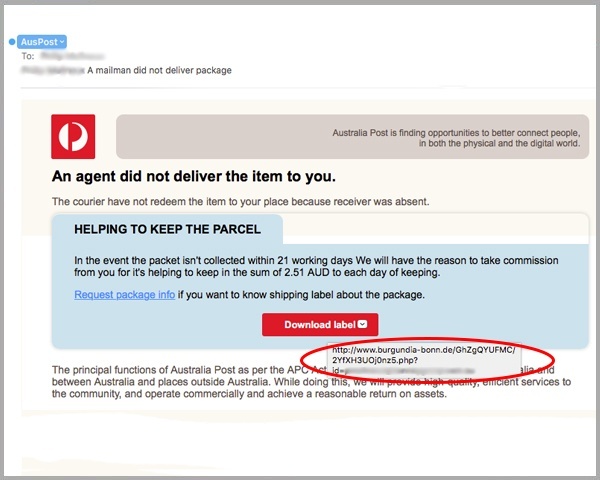 In anticipation of a large-scale campaign, MailGuard have identified and blocked a new phishing variant purporting to be from the telco giant, Telstra. 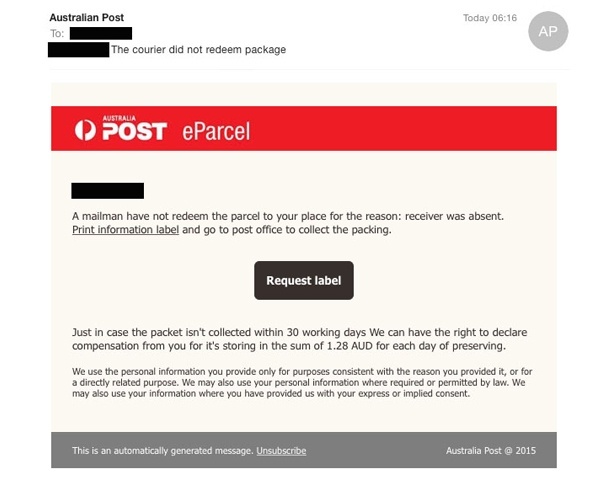 In a new scam breaking early Monday, scammers are employing sophisticated social engineering techniques with a new Australia Post ransomware attack. MailGuard has successfully blocked another attempt by cyber criminals to spread malware through a targeted email campaign posing as Australia Post. 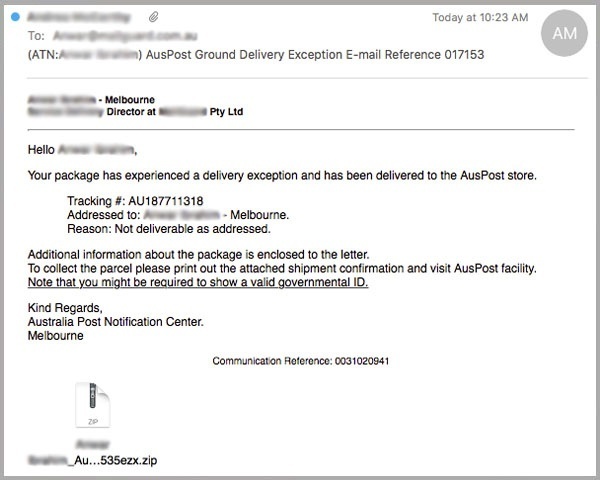 MailGuard have successfully identified and blocked an email crypto ransomware run by cyber criminals impersonating Australia Post today.